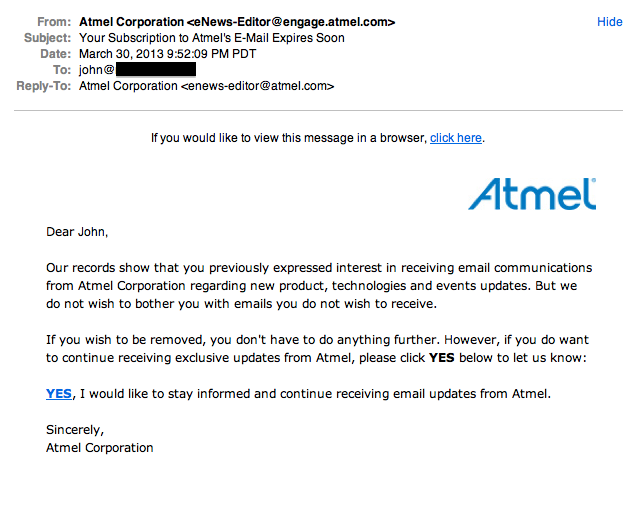 I got this email from Atmel yesterday. This is the first time a company has ever emailed me to let me know that they would stop sending me promotional emails if I didn’t respond. This is way all companies should do this. It’s not like Atmel sends me a ton of email anyway, maybe one a month at most. I’m so impressed with being treated like a human that I’ll go ahead and click that YES link to ensure I keep getting info from them. These days virtualization of systems and remote management has made racking our own equipment not only exceptionally costly (by the kindness of others we have largely been immune to these costs) but inconvenient as well since we aren’t young nerds with all the time in the world for hobbies and fixing computers in the middle of the night. Since I update this blog so infrequently, I’ve always been a fan of statically generated site content. I’ve run Moveable Type for the last ten years and it’s done quite well for me. As an information security professional, I was always worried about vulnerabilities in MT, of which there have been a few, but not so many as in WordPress. With this move into S3, I removed the last bit of attack surface for this site. 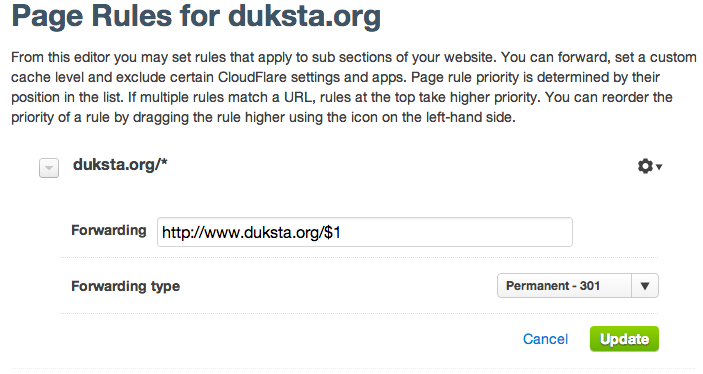 I’m now using Octopress to generate the site content and jekyll-s3 to push it into S3. So, it’s done now. Fairly painless. The hardest part was editing all my old posts that I imported from MT to standardize the random collection of paths where my post images lived. A little shy of four years ago, I picked up a second generation USB/Firewire Drobo to be the repository for all our household media. I already had a pair of 750GB drives, so I picked up a pair of the new at the time 1TB drives from Seagate. I put it all together for a net capacity of 2.2TB and it’s worked flawlessly ever since. 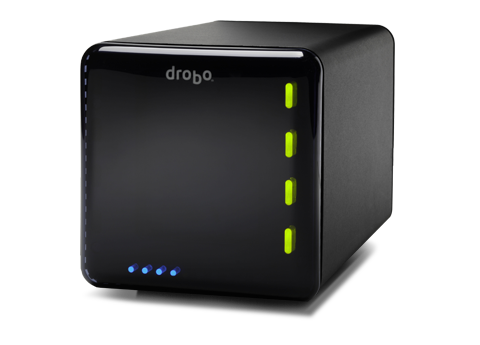 This past weekend, I noticed that Drobo was flashing all sorts of unhappy blinkenlights at me. I could still access my data, but it was telling me that one of the 1TB drives had failed. So, I ran down to Fry’s and picked up two new 2TB drives. I replaced the bad drive with one of the new ones and let it do its thing. 48 hours later, RAID redundancy was restored to the array and all was well. I just slotted in the other 2TB drive in place of one of the 750GB drives, which will up my net storage capacity to 3.6TB. I’ll also replace the one remaining 750GB drive with the 1TB drive that I’ll get from Seagate because the one that failed was still under warranty. This all worked out to my advantage, as I was starting to hit 85% full on the 2.2TB I had. Now with the upgrade to 3.6TB, I’ve got 40% free space. A lot of my geek friends give me crap for buying a Drobo and not building some Linux RAID box instead. I work hard at work. I don’t want to have to play sysadmin when I get home. I want my home gear to “Just Work”, which is exactly what Drobo does for me.